Explore an island with pristine ecosystems, home to charismatic and rare wildlife and one of the oldest rainforests in the world. Visit an orangutan sanctuary where these charming gentle giants feed and socialize. Take in breathtaking views atop the rainforest canopy while watching birds weave their way through the foliage. Cruise the Kinabatangan River and witness pygmy elephants bathing along the riverbanks. Participate in game drives and jungle walks through various habitats and observe orangutans, Bornean gibbons, proboscis monkeys, maroon langurs, and so much more! Visit Mount Kinabalu, a UNESCO World Heritage Site, known for its diverse habitats and incredible diversity of flora and fauna, including 18 Bornean endemics. Discover one of the most species-rich equatorial rainforests on this unique island. • Visit the Sepilok Orangutan Rehabilitation Centre and observe orangutans visiting feeding grounds in the rainforest. • Explore the Kinabalu National Park, a birdwatcher’s paradise with 326 bird species. • Discover the Gomantong Caves and experience the million-bat exodus. • Marvel atop the Danum Valley as the sunrise burns off the morning mist, revealing the forest canopy below. May 13 - 14 Travel to Borneo. After signing up for a volunteer program in Indonesia in 2008, Charlie was re-routed to Sabah, Borneo where he helped set up community initiative programs for the Abai village. He has resided in Sabah ever since. 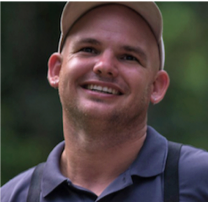 Charlie guides for the National Geographic Adventure groups in Borneo and helps train nature guides, providing them with first-hand knowledge and experience. He is also an avid photographer, which compliments his passion for wildlife, culture, and travel. Arrive in Sandakan, Sabah, Borneo. You will be greeted at the airport and transferred to the Sepilok Nature Resort, located amongst the forest not far outside of the city. Once settled in, your guide will give you a trip briefing, followed by a welcome dinner. After dinner, head out for an optional night walk in the forest to search for nocturnal wildlife. Spend the next two days exploring the Sepilok Forest Reserve and its surroundings. You will participate in early morning canopy walks, searching for birds and mammals unique to this region. Visit the Sepilok Orangutan Rehabilitation Centre and witness these gentle primates feed and interact in the rainforest. Enjoy day and night treks through the forest to observe wildlife including giant red flying squirrels emerging from their nests and “flying” up to 500ft between trees. You will also get a behind-the-scenes tour with the founder of the Bornean Sun Bear Conservation Centre and learn about the Bornean sun bear. Continue to the Kinabatangan River, home to one of the highest concentrations of wildlife in all of Borneo. After settling into your lodge for the next few days, go on a dusk cruise in search for orangutans, hornbills, slow loris, western tarsiers, civets, proboscis monkeys, and more. Watch the sun rise as you embark on an early morning river safari cruise to explore this region’s natural beauty and rich wildlife diversity. Before lunch, enjoy another walk through the jungle to search for wildlife accompanied by a talk from an orangutan expert. After lunch, you will embark on a short boat ride and transfer to the famous Gomantong Caves to spend the afternoon exploring these caves and their surroundings. At dusk, you will get a chance to see a mind-boggling bat exodus, where over one million bats emerge from the cave to feed in the night. After dinner, head back out for a night cruise in search of nocturnal wildlife on the riverbanks. Drive to one of the most biodiverse regions of Borneo, the Tabin Wildlife Reserve, which boasts an impressive 220 bird species as well as the wild banteng cattle. You will explore the reserve in 4x4 off-road vehicles in the hope of witnessing leopard cats, marbled cats, flying squirrels, and binturong bearcats in their natural habitats. Participate in a morning trek to the mud volcano, where salt-enriched mud bubbles up and attracts many different animals. Climb an observation tower and soak in the stunning views of the surrounding forest canopies. You will meet the executive director of the Borneo Rhino Alliance, who will teach you about current Sumatran rhino conservation efforts. Here, you will also take part in nightly game drives to find nocturnal wildlife. Travel to Danum Valley, known for its 150 square miles of virtually undisturbed primary rain forest. You will spend your time exploring the local nature trails on your own or with a guide. Stretch your legs with a moderately challenging hike to a nearby waterfall or go on a canopy walk in the treetops surrounding the lodge. Bird life is especially diverse, with more than 275 recorded species. You will have a chance to witness rare species such as pygmy elephants, clouded leopards, endemic Bornean gibbon, and endemic maroon langur. Witness a dazzling sunrise over the valley from atop an observation tower. You will also go on a guided night walk to experience the forest when it is buzzing with activity. Wake up before dawn for a drive to the top of Danum valley to enjoy breakfast while watching the sunrise. As the sea of mist dissipates, it reveals the forest in the valley below. Upon return to the lodge, join an optional trek before checking out and driving to Lahad Datu for your flight to Kota Kinabalu. Once checked into your hotel, enjoy a dinner altogether to celebrate the incredible journey through the jungle. You will travel the scenic road up to Kadamaian Valley on the way to Kinabalu National Park. Enjoy an afternoon birding in the park. Kinabalu National Park is a UNESCO World Heritage Site because of its incredible diversity of flora and fauna. The park’s Mount Kinabalu is a granite intrusion formed 15 million years ago and thrusted upward one million years ago from tectonic movements that continue to shape its landscape today. It contains a wide range of habitats including rich tropical lowland and hill rainforest to tropical mountain forest, sub-alpine forest, and scrub on the higher elevations. Enjoy a full day exploring the various trails at the base of the park while birding. This park is a birdwatcher’s paradise with about 326 species recorded, representing over half the bird species in Borneo (18 are Bornean endemics). As you traverse the beautiful scenery, try spotting some of the endemics (found only in Borneo) which include the mountain black eye, the mountain blackbird, the Bornean treepie, the Kinabalu friendly warbler, the Kinabalu serpent eagle, the Bornean mountain whistler, the Everett’s thrush, and the whitehead’s trio. Spend the morning birding and walking in the park. Depart Kota Kinabalu for flights homeward. Arrive home today depending on your flight schedule. Costs are per person, double occupancy, not including airfare (except flight between Lahad Datu and Kota Kinabalu), singles extra. See Included and Not Included sections for more details. Flight between Lahad Datu (LDU) and Kota Kinabalu (BKI). Meals from dinner on May 15 through lunch on May 28. Airport transfers on May 15 and May 28. Non-alcoholic bottled beverages throughout the trip and snacks during travel between destinations. Lectures from an orangutan expert and from the executive director of the Borneo Rhino Alliance. Private access to Sun Bear Centre. All airfare (except flights listed as included), airport and departure taxes, and excess baggage fees. Airfare is approximately $1,200–$3,000 from the USA to Sabah, Borneo depending on origin. Gratuities – tipping is, of course, discretionary, however we suggest budgeting about $335 to $355 total per participant for the entire tour. Temperatures vary greatly. The lower altitudes are often hot, while the forests and higher altitudes can be surprisingly cool. In May, the average daytime temperature in Borneo is in the mid 80s°F (28°C), with highs in the low 90s°F (33°C); the evenings get down into the mid 70s°F (24°C). Temperatures in the forest and at higher altitudes are only slightly cooler, averaging between 75 and 85°F (25 and 29°C). Although May is considered the dry season, rain can be encountered at any time of year. Most wildlife viewing is done from small boats, vehicles, and on foot. Walks to search for wildlife are generally less than an hour long and along relatively flat trails or gravel roads. You have the option to split into smaller groups based on desired level of exercise. Please contact us if you have any health concerns that may make this trip challenging. Flights you (or a travel agent) book: Arrive in Sandakan (SDK) anytime on May 15. Depart from Kota Kinabalu airport (BKI) after 5:00pm on May 28. Flights we book for you: The flight from Lahad Datu to Kota Kinabalu on May 25. The cost of this booking is included in the tour cost.